Tennessee medical centers are known for their staff’s pursuit of quality medical care and dedication to ensuring patient safety, but even the most well-trained physicians can make errors in carrying out the duties of medical care. In some cases, these mistakes go unnoticed, while in other cases, these mistakes can result in adverse effects for patients. In the case of newborn infants whose brains and tissues are still in the early stages of development, such errors can lead to serious developmental delays and lasting health issues. If you or a family member suffered a birth injury, you can ask for the help of a personal injury attorney to secure compensation for the care needed to mitigate the damage caused by medical errors. Contact the law offices of Reiter & Walsh ABC Law Centers, whether you are in Memphis, Nashville, Knoxville, Chattanooga, Murfreesboro, Johnson City, or Hendersonville, or any other Tennessee city – we can travel to you and help you determine the right course of action for your child. Reiter & Walsh ABC Law Centers is one of the few law firms in the U.S. that focuses only on birth injury. Our thorough knowledge of birth injury allows us to focus 100% on the details of these complex medical cases. Unlike other personal injury firms, which may split their focus to handle car accidents, drug interactions, and medical device malfunctions, as well as birth injury, Reiter & Walsh ABC Law Centers focuses on birth injury and birth injury only. Our firm consults with leading medical experts, specialists and care planning professionals to help determine what kind of care your child will need to get throughout their lifespan. 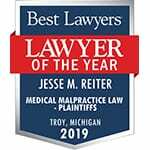 Partners Jesse Reiter, Rebecca Walsh and Euel Kinsey are currently two of the best medical malpractice lawyers in the U.S. Jesse Reiter and Rebecca Walsh are ranked among the best lawyers in the U.S. by U.S. News and World Report, while Euel Kinsey is ranked in the New York Times’ listing of Top Attorneys in Michigan. Call us today at 888-419-2229 or Live Chat with us 24/7 using the chat button in your browser. We would be happy to provide you with a free case evaluation and talk to you about your options in pursuing a case. Not every hospital is equipped to help the most fragile or ill of newborns, as different neonatal care intensive care units are categorized differently. NICUs are categorized from Level I to Level III or Level IV, depending on the state. Infants with birth injuries can sometimes need highly specialized care, including (but not limited to) hypothermia therapy, ventilation, seizure monitoring and management, and/or surgical interventions for certain health issues. Children’s Hospital at Erlanger: This facility in Chattanooga is the region’s only Level IV NICU. University of Tennessee Health Sciences Center: UTHealth Science Center is the regional referral hospital for West Tennessee, delivering many babies whose mothers have been classified as high-risk. The center accepts referrals from Arkansas, Mississippi and Southern Missouri. Le Bonheur Children’s Hospital: This facility is an NICU outpost of the UTHealth Science Center, providing care for critically ill neonates, including hypothermia therapy (head cooling) for babies diagnosed with HIE. Vanderbilt University’s Monroe Carell Jr. Children’s Hospital: This hospital specifically mentions that it administers hypothermia therapy to children who have been diagnosed with hypoxic-ischemic encephalopathy (HIE), and provides services such as ECMO and specialty imaging. East Tennessee Children’s Hospital: This facility has a Level III NICU equipped to assist 60 critically ill infants. TriStar Centennial Medical Center: This facility is categorized as a Level III NICU. Ayer Children’s Medical Center: This affiliate of West Tennessee Healthcare is a Level III NICU with 30 beds, and offers transportation from outlying hospitals. Niswonger Children’s Hospital: A Level III NICU in Johnson City, TN affiliated with Mountain States Health Alliance. To read more about NICU classification in Tennessee, see the Tennessee Department of Health’s guidelines on NICU classification. The University of Tennessee: The University of Tennessee conducts research at numerous branches of its campus, including in Knoxville. While not necessarily specifically confined to medical research, the University is known to partner with ORAU and administers the ORNL program, two highly prestigious research programs. Vanderbilt University: Vanderbilt University’s medical school participates in advanced medical research. Tennessee has several military medical facilities. 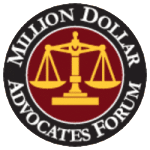 Under some circumstances, individuals who have given birth at a military medical facility and had a child who sustained a birth injury can seek to file a lawsuit under an act called the Federal Tort Claims Act (FTCA). These hospitals are listed separately because the process of litigating military medical malpractice is in some ways different from litigating a case against a non-military hospital. Military hospitals do not allow active-duty service members to file suits against them, though their spouses and dependents can. Differences such as these require birth injury attorneys who understand both birth injury and military medical malpractice; Reiter & Walsh, P.C. has the experience and credentials needed to litigate these cases. Birth injuries can impact a child’s physical, emotional, and mental health, and can lead to developmental delays, intellectual and learning disabilities, or cerebral palsy. The extent to which a birth injury can impact a child’s functional ability can vary vastly- some children with birth injuries do not have any functional impairments or very mild ones, while for some children, the outcomes can be very severe, requiring around-the-clock medical care and therapy. The extent of a birth injury depends on multiple factors, including how long a child was deprived of oxygen and whether blood flow to the child’s brain was completed stopped or partially stopped. It can be difficult to evaluate the extent of a child’s injuries immediately, as it is common that some developmental delays don’t show up until the child is age two or older, or, in some cases, when the child reaches school age and begins to struggle with their lessons. However, it is important to speak to a birth injury attorney as soon as you suspect a birth injury, because different states have different time limits (called statutes of limitations) for when a lawsuit can be filed. Birth injuries are a complex field of law, as there are highly specific standards of care that medical staff should follow in providing care to mothers and children during pregnancy, birth and delivery. No parent wants to believe that a doctor may make a mistake during their child’s gestation or birth, but errors, while rare, do occur, and parents should know that there are legal options for pursuing justice. Traumatic birth: If a labor and delivery is traumatic (due to prolonged/stalled labor, the use of vacuum extractors and/or forceps, or the overuse of delivery drugs like Pitocin or Oxytocin, for example), the baby is more likely to have brain bleeds or periods of oxygen deprivation or other injuries. If labor becomes stalled, it can be necessary to initiate a C-section in order to prevent injury from oxygen deprivation or other labor-related injuries. Fetal distress: During labor and delivery if a baby’s heart rate drops significantly and doesn’t recover, it is very likely the baby is having fetal distress, a reaction to oxygen deprivation. If oxygen deprivation goes on long enough, the baby may develop an oxygen-deprivation induced injury called hypoxic-ischemic encephalopathy (HIE), which must be treated within 6 hours of birth using hypothermia therapy. Fetal distress can also trigger the baby to have a bowel movement in the amniotic sac. Because the baby breathes in amniotic fluid, it can be at risk for inhaling stool, which is an infection hazard and can interfere with proper breathing. If a baby is having fetal distress, it is an obstetrical emergency and the baby should be delivered quickly via C-section to prevent further damage. Seizures: Seizures are one of the most common indicators of brain damage in a baby. Seizures are triggered by abnormal electrical patterns in the brain, which often stem from an underlying cause of damaged neuronal tissue. Sometimes these seizures are visible, but sometimes they are only detectable using continuous EEG testing. Seizures should be carefully monitored and treated in order to prevent them from worsening existing damage. Brain bleeds: Newborn babies’ brains can be very fragile, especially if they are small, premature or are subjected to a traumatic birth. Brain bleeds can often cause (or be the cause of) HIE, periventricular leukomalacia (PVL), and hydrocephalus, so it is important that medical staff follow standards of care to prevent brain bleeds from occurring. If they do occur, brain imaging can be recommended to assess what kind of therapy and treatment a child may need to minimize disability and help the child developmentally as soon as possible. Cerebral palsy: This motor disorder can show up as a early preference for one side of the body over another, or via excessive muscle tightness or limpness. Cerebral palsy can sometimes be traced back to an underlying injury to the motor centers, which interfere with proper signaling to the muscles. This can often be traced back to HIE. Low blood sugar: It is absolutely critical that a baby’s rapidly-developing brain have an uninterrupted supply of blood sugar that is neither too low or too high. Some babies (especially those that are very large or very small for their gestational age (macrosomic babies and VLBW or premature babies, respectively) are prone to developing low blood sugar and can require additional monitoring and feeding. If blood sugar is too low for too long, brain cells become deprived of their only energy source and start to die off. If a baby is in the NICU, medical staff should watch these babies and ensure they are receiving proper nutrition. High-risk pregnancy: Mothers with certain diagnosed health conditions are ‘high-risk,’ meaning that it is more likely they will have complications or other health issues during pregnancy. Women with diabetes, preeclampsia, obesity, hypertension, and other conditions should be referred to a maternal-fetal specialist who can conduct more frequent monitoring to ensure the pregnancy goes smoothly. One of the most common trends we see in birth injury litigation is high-risk patients not being monitored or treated as high-risk patients. It is important that women with high-risk pregnancy be informed by their physician of their status so they can get proper maternal-fetal care. Infection, sepsis, meningitis, encephalitis and pneumonia: If the mother has an infection such as group B strep or a UTI that goes undiagnosed, this could be passed to the baby during a vaginal birth or when her membranes break. Depending on the type of infection, it may be safer to deliver via C-section before the membranes break. For certain infections, mothers can be placed on antibiotics or antiviral medication prior to labor and delivery to suppress the infection and prevent passage to the baby. If a baby is suspected of having an infection after birth (such as meningitis or pneumonia), treatment should be initiated quickly to prevent tissue inflammation and other complication, as these can result in seizures or developmental delays as the child grows. Jaundice and kernicterus: When a baby is born, they can sometimes develop jaundice (yellowish skin and eyes). In some cases, this can resolve on its own, but there are certain cases where the baby may need help with the underlying cause of the jaundice, in which case they are placed under a special set of lights or under a fiber-optic blanket to help them break down excess amounts of bilirubin. If jaundice goes untreated or is treated improperly, however, excess bilirubin can cross the blood-brain barrier and cause permanent and irreversible brain damage. This is often medical negligence, as kernicterus is the result of a condition that was not properly caught in time or treated. Placental abruption or uterine rupture: These two conditions relate to maternal bleeding. Placental abruption occurs when the placenta detaches from the uterus, while uterine rupture occurs when the uterus tears through its layers. Both have the potential to become very seriously immediately, as both can cause massive bleeding in both the mother and the child. Bleeding can then result in blood pressure to the baby dropping, which can cause hypoxic ischemic encephalopathy and other oxygen deprivation-related injuries. Breech or face presentation: It is often safer to deliver babies who have malpresentation via C-section because of the risk of traumatic birth, which can increase the risk that a baby will have brain bleeds and/or swelling of the face or upper airways, which can prevent proper breathing. Short or long umbilical cord, knots in the umbilical cord, and cord around the baby’s neck (nuchal cord): The umbilical cord is the baby’s only method of exchanging oxygen, nutrients and waste products. Umbilical cord issues of any type can compromise the flow of oxygen and nutrients to the baby and lead to HIE, cerebral palsy and developmental delays. Umbilical cord issues can often be diagnosed via ultrasound testing, and should be addressed by maternal-fetal medicine specialists. Pursuing a birth injury lawsuit can be a big decision for a family because of the fear that it will take away valuable time spent caring for their child. This is why it is important to carefully consider options in choosing an attorney. Parents should choose an attorney that will clearly communicate expectations and updates about their individual case, and that makes clear at the outset what working with the firm will be like. The birth injury attorneys at ABC Law Centers have a track record of multi-million dollar verdicts and exceptional client satisfaction. Contact us for a free case evaluation. ABC Law Centers’ attorneys and in-house medical staff focus solely on birth injury, providing with the experience needed to win these complex and medically detailed cases. The firm consults with medical specialists and subspecialists, forensic experts, life care planning economists and other medical experts to build strong cases and help families secure their children’s future. Contact us 24/7 to have a free, no-obligation case evaluation, and to speak to an attorney about your options for pursuing a case. Our award-winning attorneys have been listed as SuperLawyers, as well as in U.S. News and World Report’s “Top Medical Malpractice Lawyers” for many years. The firm has also been listed among U.S. News and World Report’s “Top 100 Law Firms,” among other accolades. Feel free to reach out to us with any birth injury litigation-related questions you may have, and we would be happy to explain your legal options. The Tennessee birth injury attorneys at our law firm focus solely on birth injury cases, which means that we have a thorough knowledge of the complex medical content associated with birth injury cases, plus top-notch, award-winning medical, economic and forensics experts at our side. Contact us online for a free consultation or call us at 888-419-2229. The University of Tennessee Medical Center celebrated its 60th anniversary in August, 2016. The UT Medical Center is home to a private-room Level III NICU, as well as a regional perinatal center. Read about the hospital and its anniversary coverage here.